Airways, New Zealand’s air navigation service provider, has selected the R&S VCS-4G IP-based voice communications system from Rohde & Schwarz for air traffic control (ATC) communications in New Zealand airspace. The cutting-edge solution from the German technology company was chosen based on its reliability, innovation and flexibility. 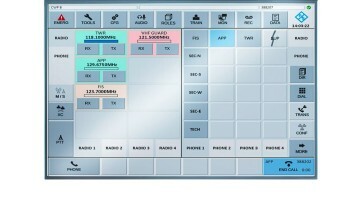 The system’s IP design helps Airways make their air navigation services more resilient, flexible and efficient. Airways Corporation of New Zealand is modernizing the entire New Zealand air traffic management (ATM) infrastructure over the next few years. Rohde & Schwarz will provide Airways with a quad-redundant R&S VCS-4G IP-based voice communications system over two tranches. Tranche one will deliver the equipment and infrastructure installed in Auckland and Christchurch air traffic control centers, while tranche two (anticipated to start in 2021) will deliver the tower-based equipment across 22 tower locations nationwide. The Rohde & Schwarz technology will support Airways New Zealand as they move towards a new one-center, two-location operational model across its Auckland and Christchurch locations. The contract was signed on June 21, 2018, allowing Rohde & Schwarz to commence the implementation immediately. The design phase will be completed in 2018, with the installation and commissioning of the ATC centers in Auckland and Christchurch conducted in a phased deployment to be completed by 2020. The overall project includes the delivery, implementation and through-life support for over 200 controller working positions, with interfacing to the new ATM system, new ATC radios and various ground-ground communication lines. The project will be managed, delivered and supported by Rohde & Schwarz Australia, leveraging the extensive R&S VCS-4G product expertise of Rohde & Schwarz Topex. Topex has been part of the Rohde & Schwarz group of companies since 2010 and is its center of competence for voice switching solutions. The quad-redundant, distributed architecture offered for the control centers in Auckland and Christchurch will be a key element in helping Airways significantly increase resilience and provide a unique geographic flexibility to manage their operations in a single trusted environment in the future. Rohde & Schwarz has successfully delivered communications systems to over 200 airports and area control centers all over the world. With complete solutions from the air traffic controllers’ microphone to the antenna at the radio site, Rohde & Schwarz covers the entire ATC communications chain. For more information, visit https://atc.rohde-schwarz.com.